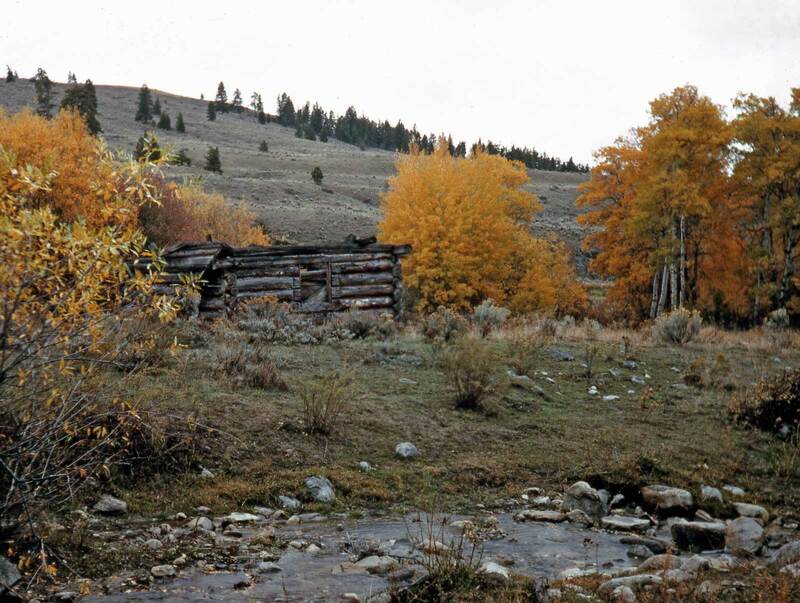 Perhaps somewhere in the Okanogan on an overcast fall day, the creek is down and the roof of a pioneer's log cabin too. The remainder of this residence looks sound - what we can see of it - and may still be kept around 60 years or more after Horace Sykes recorded it - but did not caption it. Is it possible that HS kept a journal of his photographs in a notebook or something that he kept in the glove compartment? Has anyone rifled his papers in search of such a document? What do we know of the man…was he the kind of person who would be grinning in his grave that so much of his cross-country dot-to-dot puzzle has been posthumously posed but not yet solved? Was Sykes that kind of a trickster? Hard to believe someone could care so little about preserving the metadata when he cared so much about the details internal to each image. I doubt that any such documenting survives or was done. Horace’s granddaughter Barb has none such. Perhaps he had enough rigor in the details of being an insurance examiner and the photography was a process he enjoyed more than something to be counted and consulted. I got his slides from the widow of Lawton Gowey who somehow got them from Horace’s widow, I think, in preparation for her move south to be with her daughter sometime in the 1950s following Horace’s death. So the collection was “sat on” for nearly 30 years until Lawton’s widow gave them to me following his death. That was in the mid 1980s. Now at last they get a nearly daily sampling and sometimes the joy of discovery following some hide and seek. It’s a formidable legacy that you’re building to the man’s work, which is all the more meaningful, or ironic, if it is true that he cared not a farthing for the “counting and consulting”. If this was really his art, the expressing of something deep and true in him, I can see where the locations and dates and all that were deliberately ignored in favor of simply capturing a moment, for the temporary — even fleeting — residence of his own soul. Given that he’s crossed over, can we safely say we do his original art no harm by putting pins in maps and naming his images?